Barcelona Travel is located in a Modernist building from the XIX century in the center of Barcelona, around 5 minutes walking from Gran Vía Avenue and Plaça Universitat Square. Rooms are modern with air-conditioned, parquet floors and a 40-inch flat-screen TV. Private bathrooms also come with a hairdryer and free toiletries. Bed linen and towels are provided. Free WiFi access is available. 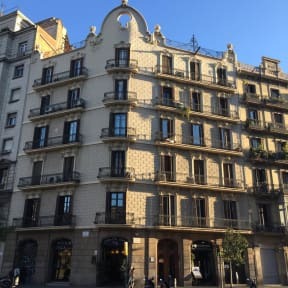 The guest house is 850 meters from Passeig de Gracia Station, and Plaça Catalunya is 10 minutes away on foot. Transportation to Barcelona El Prat Airport, located 20 minutes away by car, can be arranged. Check in from 10:00 to 16:30 and 18:30h to 22h. Please note that check-in after 22:30 carries a charge of EUR 6 per hour. Cancellation policy: 9 days before arrival. Taxes not included - occupancy tax 0.72 EUR per person per night.